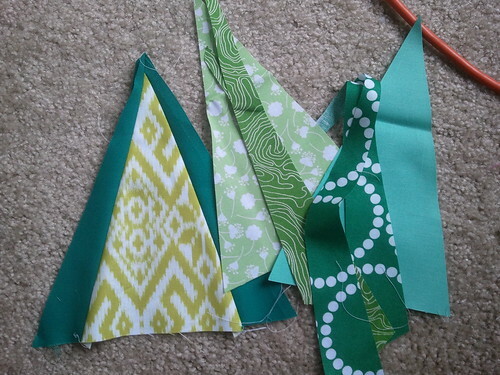 I hadn't been working on my Pantone 2013: Emerald Quilt Challenge because I couldn't choose from the many ideas I've sketched up. And that was just plain silly. So now I'm working on several projects at once. Which may also be silly. Only time will tell. Here's to hoping there's lots more progress this week! ooooh, intriguing! Loving the curves. Very pretty and what lovely stitching on those curves! Good luck! 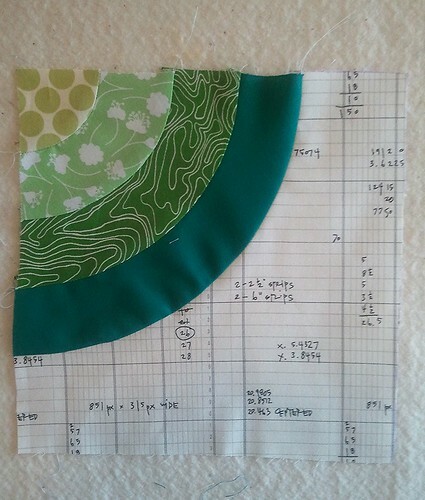 I like how the curves offset the graph paper calculations. Very nice. Ditto - can't wait to see the finish. I am LOVING your colors. So pretty! Lovely...and the curves look great too. Visiting from Show & Tell. Have a great day!